Location of the Ivory Coast (Côte d’Ivoire) within Africa. From Wikimedia Commons. Ethics and morality are not permanent fixtures of our society. They are constantly evolving and adapting to new social norms and necessities. Today in Canada, slavery is considered to be absolutely immoral. This is, however, a relatively recent development. Two hundred years ago slavery was legal and widely accepted. At present in the Ivory Coast, slavery is considered acceptable. It is technically illegal there, but due to the widespread use of slaves there, I believe I can say that it is accepted as a fact of life. It can be likened to driving faster than the speed limit in Canada; an illegal but widely accepted act that is often regarded as justified, or at least justifiable. Western society has proven that the most cost-effective and profitable method of producing agricultural products is with mechanization. When one compares the profit margin on slave produced goods vs mechanically produced goods, it is clear that the most profitable ventures involve mechanization. An average farmer in the western world is significantly wealthier than any slave owning farmer in the Ivory Coast. Owning slaves is not free. When one considers the cost of housing, feeding, and securing salves as well as the cost of compelling compliance, the overall cost is high. However, few of these costs are financial; they take the form of time and resources. Mechanization on the other hand requires relatively little time and resources once the system is in place, but it does require access to finance in order to adopt. The history of western civilization chronicles the simultaneous adoption of mechanization and the decline of slavery. This transition did not take place only because of people’s moral concerns about slavery. It took place for economic reasons. The Ivory Coast is subject to the same laws of economics as the rest of the world. These economic forces will eliminate slavery in the Ivory Coast just as they did in the rest of the world. However, the question remains, why has this has not happened yet? Mechanization is very capital intensive, for the farmers to acquire needed capital they must first have access to capital markets, and have something of value to trade. Currently there are few functioning capital markets in the Ivory coast. This is primarily because capital markets require stability and the rule of law. The people and governments of the Ivory Coast have been unable to provide stability. Their region has endured many recent years of civil war. Political instability is a disincentive for capital accumulation. Without the rule of law, it is easier for somebody to simply take or destroy your wealth and equipment. Circumstances such as this lead to less investment in goods that can be stolen, such as equipment or even worker skills. General social unrest, civil war and societal breakdown have crippled the financial markets in this region, making it nearly impossible to secure financing for capital-intensive products. This state of affairs effectively makes mechanization impossible. The low price of cocoa in the global market also makes it more difficult for farmers to accumulate money to pay employees. The absence of money, a medium used for the exchange of goods and services, inhibits the ability of farmers to compensate workers in any meaningful way. If farmers cannot acquire the labour of workers through the exchange of currency, the only option left is the exchange of violence. “When money ceases to be the tool by which men deal with one another, then men become the tools of men. Blood, whips and guns–or dollars.” -Francisco D’Anconia, Atlas Shrugged, Ayn Rand, 1957. 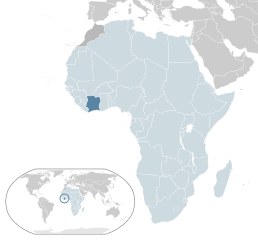 The existence of slavery in the Ivory Coast is perpetuated by farmers who need a method of harvesting cocoa beans that uses very little money. Slavery replaces currency with violence. The moral responsibility to end slavery resides with those who have the ability to influence the situation. In the case of slaves picking cocoa beans, the Canadian consumer currently has very little ability to influence that situation. This is because the slave-picked cocoa beans and the non-slave-picked cocoa beans are often mixed together. There is no way to know for sure which beans have been picked by slaves, making it impossible to boycott one particular brand of slave-picked cocoa in favor of a non-slave-picked cocoa. The only option for a concerned consumer is to abstain from purchasing all chocolate which will hurt all cocoa farmers, and will not inform the corporation why you are not purchasing the chocolate. The only way for a consumer to inform the chocolate companies that they are unhappy with the use of slaves in cocoa farms is to inform them directly. The difficulty for corporations operating in both Canada and the Ivory Coast is in determining how to balance the differing ethical regimes that operate in the two different regions. The corporations have to consider the Canadian ethical opposition to the use of slaves, while at the same time facing the hard reality of slave labour in the Ivory Coast. The corporations are in a position to have a direct influence on the use of slaves. If they paid a higher price for the cocoa, some of the farmers could afford to pay their workers. However, simply paying a higher price for cocoa is not enough to eliminate slavery. Mechanization, along with the corresponding political and social reforms necessary to allow capital accumulation, is the best way to eliminate slavery in cocoa farming. However, the cocoa companies are not in a position to single-handedly create stability, law and order in the Ivory Coast. That is something that has to come from the people themselves, though such a movement could be nurtured by the international community. With today’s state of affairs, even if the chocolate industry provided farm machinery to the farmers, it would probably be stolen or destroyed by rival groups within the country. The companies can, however, completely bypass the local farmers and establish company-owned farms. The giant company farms would be able to regulate the cocoa that is produced on their farms and ensure that there was no slave labour involved in its production. Given the oligopolistic nature of the chocolate industry, it would only take a few companies creating giant corporate farms to completely eliminate slavery in the cocoa industry. This is because the large-scale mechanized farms would likely be able to secure preferential contracts and squeeze the slave-run farms out of business. This would however, have the additional effect of destroying the livelihoods of all the current farmers unless they were integrated into this plan or bought out. It is important to note that this approach would require the aforementioned social reforms or relatively expensive private security forces to protect the investments. The cocoa farmers know mechanization is the key to prosperity, and they aspire to be able to produce cocoa using mechanized agricultural methods. They have been unable to do so because of a lack of funds and security. From the farmers perspective, they are faced with the dilemma of either using slaves to work their fields or losing their farms, their livelihoods, and possibly their lives. In the end, it is the farmers who are ultimately responsible for the decision to utilize slaves, but their decision is unlikely to change so long as they employ the ethics of survival. Slavery can be an effective means of production. For this reason it has been practiced all over the world for much of human history. In the year 2011 however, slavery has become a heavily marginalized practice because more effective means of production have been developed. As human understanding expands, we discover ways of behaving and of organizing ourselves that more effectively serve to improve happiness and minimize suffering. Our code of ethics must evolve if we are to be capable of taking advantage of our developing understanding of the cosmos. Ethics evolve, but evolution is blind, without conscious effort ethics can lead us astray as happened in the Ivory Coast. This is why it is important to study ethics and to consciously guide its development. Everybody must be aware of the impact they have upon the civilization they are a part of, and of their ability, through their actions, to either improve or undermine that civilization; which they themselves derive so much of their well being from.